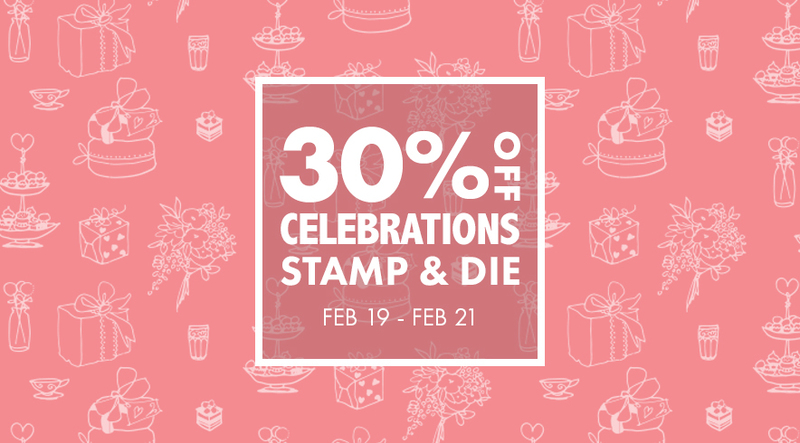 Save 30% on the Celebrations Stamp & Die Bundle valid now through midnight EST on February 21st. No coupon code needed to enjoy this deal! While supplies last! Hello there! 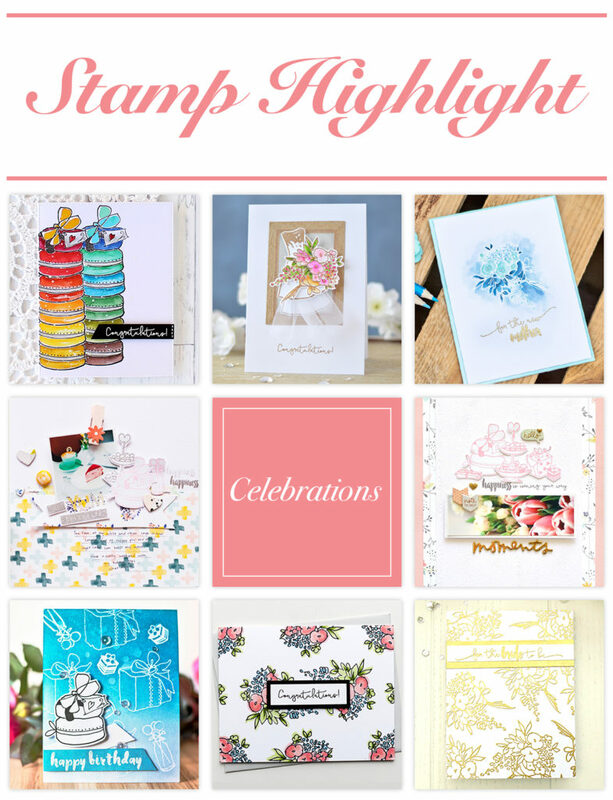 Welcome to our Stamp Highlight and this month we are featuring the Celebrations Stamp Set. Add a touch of whimsical fun and elegance to all your party craft projects! This stamp set is perfect for making a quick card or a gift tag for occasions like weddings, bridal showers, baby showers, or just about anything to celebrate. You can also use the Coordinating Die Set to cut out the images quickly and easily and to add depth and dimension to your projects. These images look amazing when stamped flat or popped up, or even a mix of the two. Both the stamp set and die set are available as a bundle. These adorable images stamp beautifully with our Crisp Dye Inks, so when used as a background or a focal point, the images will look amazing. You can get a closer look at the stamp set in the Product Intro Video above! We just love this beautiful blue card by Sveta! She uses two different techniques with the images from Celebrations Stamp Set and used the images both as a focal image and background. 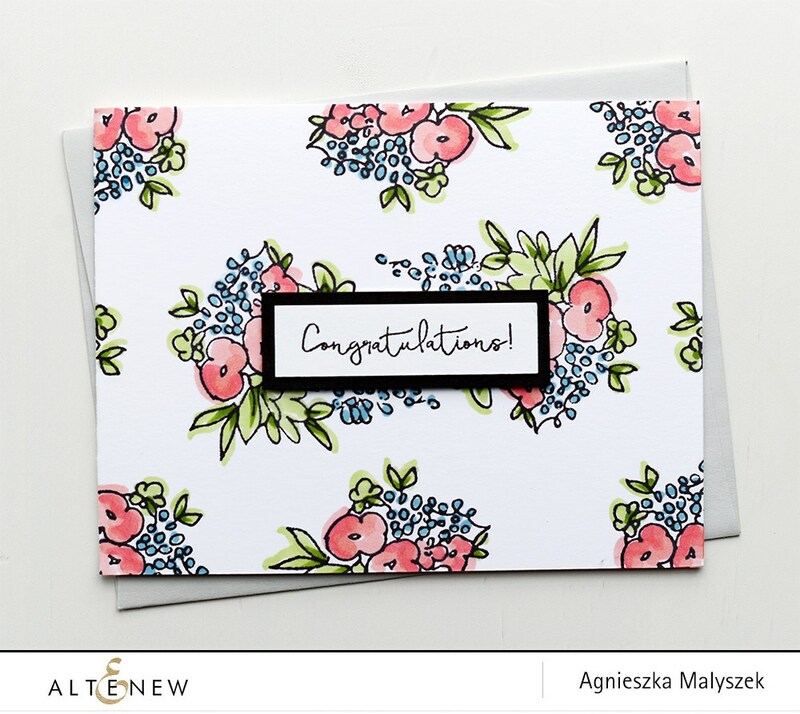 For more information on how Sveta created this card please check out this post. 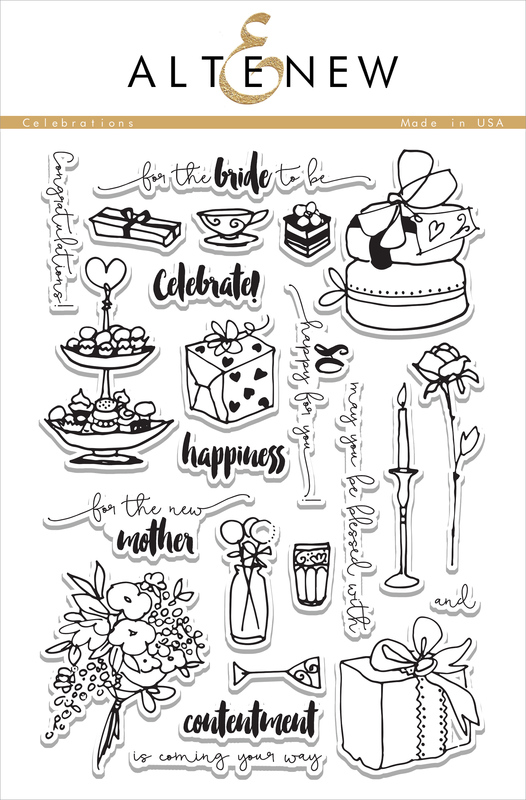 Flora shows that the Celebrations Stamp Set is not just for cards. We totally love how she incorporated the images from the stamp set into her layout. Stamped in a soft pink, they bring so much to the layout without taking too much attention from the photo. For more details on how Flora created this layout please check out this post. We just adore Therese’s clever yet beautiful card! She used a mix of stamp sets as well as the Celebrations Stamp Set to create such a stunning wedding card that we are sure anyone would love to receive. For more information on how Therese created this card please check out this post. 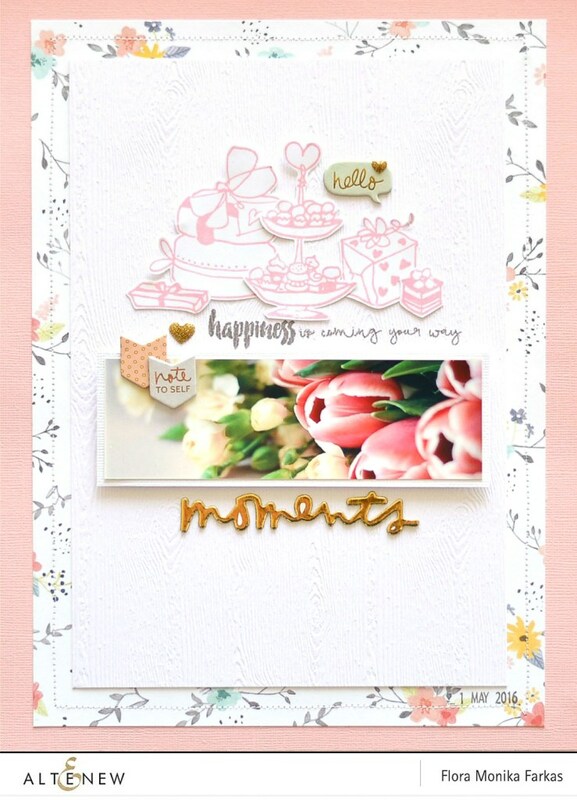 Just how beautiful is this card by Aga using the Celebrations Stamp Set? 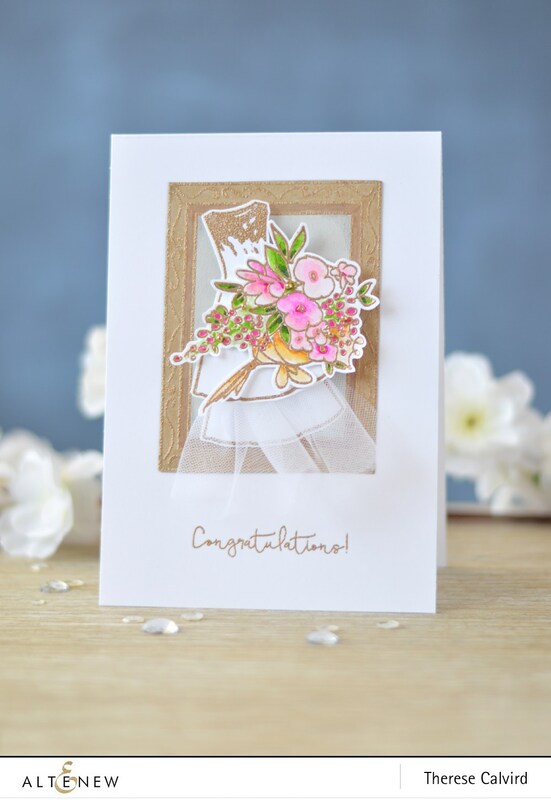 It just goes to show that you only need to use one of the images from the set to create a simple yet stunning card! For more information on how Aga created this please check out this post. We hope this Stamp Highlight has given you some inspiration and given you a fresh look at this firm favorite. Please let us know what you love about this stamp set! We’d really love to hear your thoughts in the comment section.